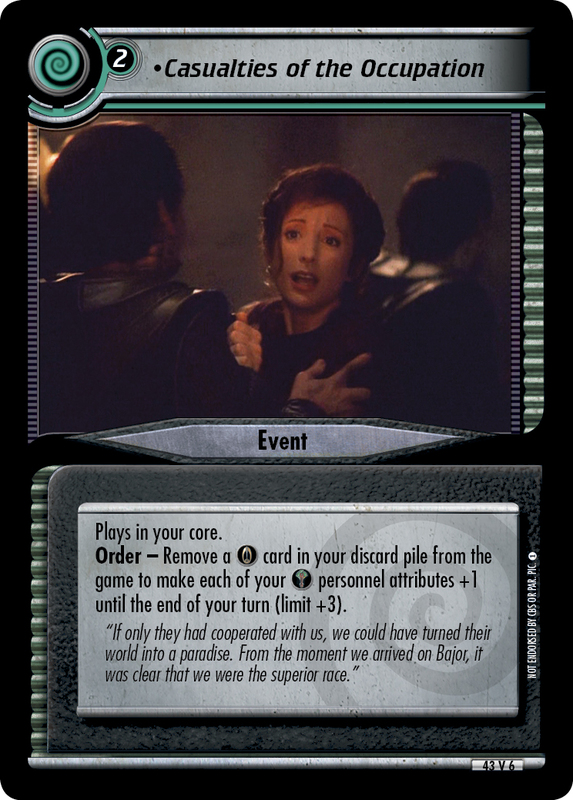 To play this event, you must command two personnel and two personnel. Plays in your core. At the start of your turn, discard the top two cards of your deck. 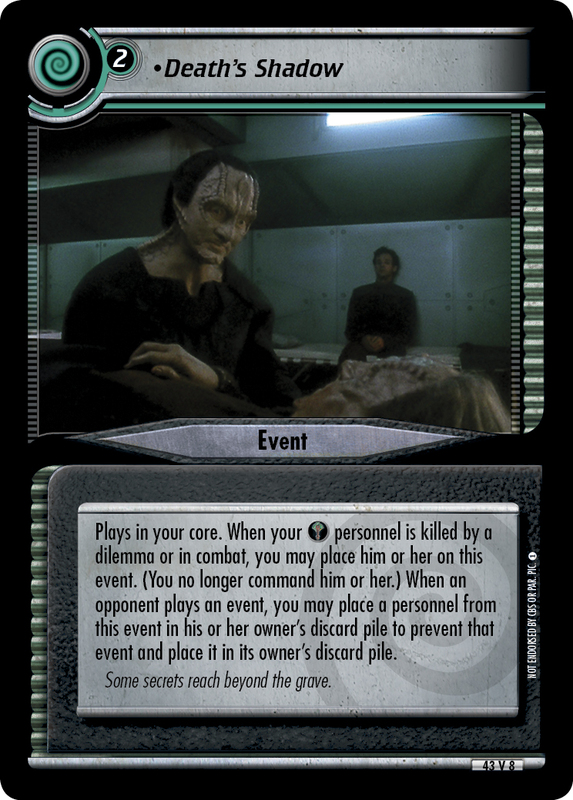 If you discarded a Intelligence personnel or a Intelligence personnel in this way, the first personnel you play this turn is cost -2. 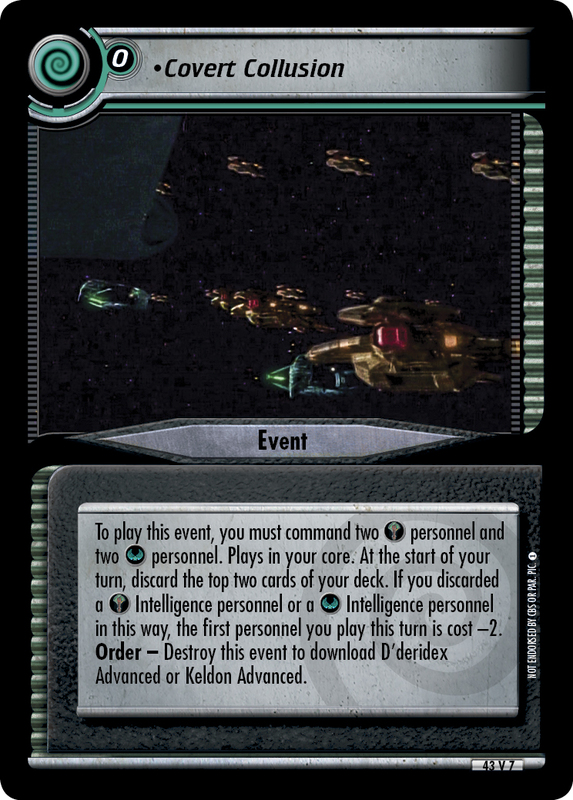 Order - Destroy this event to download D'deridex Advanced or Keldon Advanced.